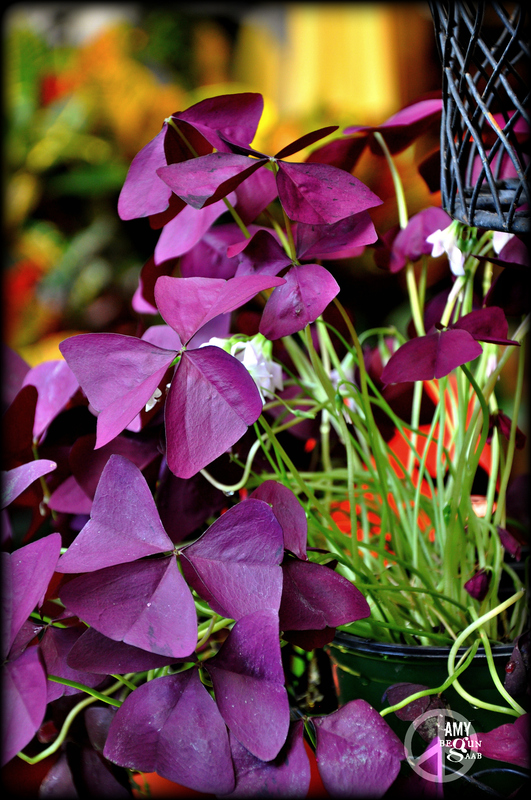 the stems are green, the tops…PURPLE? How lucky you are. I have these growing in my window. I love looking at them. When I bought them 8 years ago to decorate for St Patrick’s day I expected they would be dead in a few months. I have a black thumb. Is that lucky?